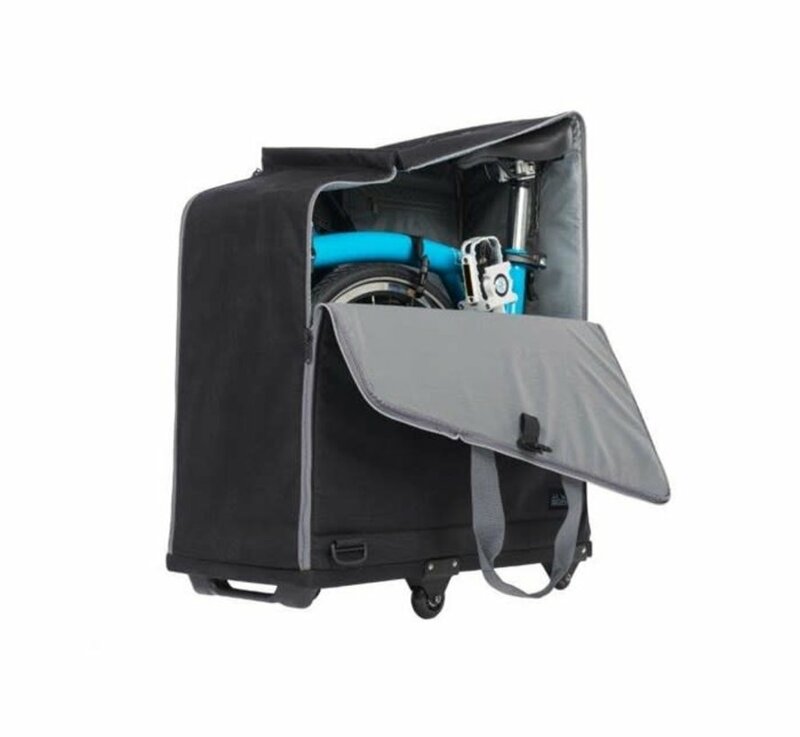 Soft-sided travel bag with four roller wheels and strap. Stiffeners in the bottom of the bag give support without the bulk of a hard sided suitcase. Never leave your Brompton behind. 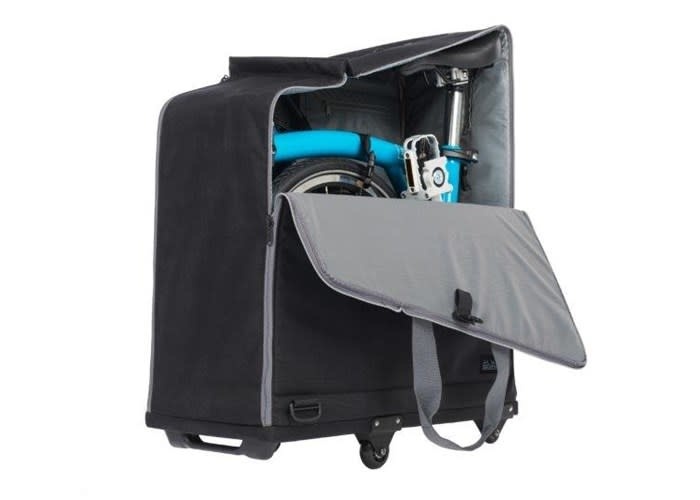 Folds up neatly for storage or easy transport when you’ve reached your final destination. The Travel Bag replaces the last generation Brompton B Bag (QBBAG).